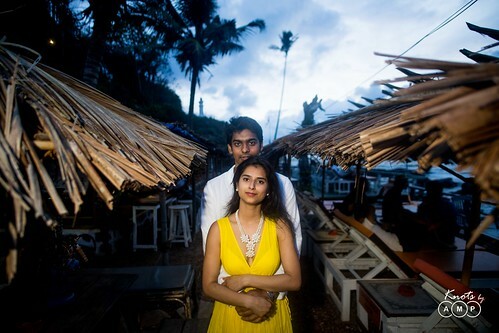 Love is very fragile & light. 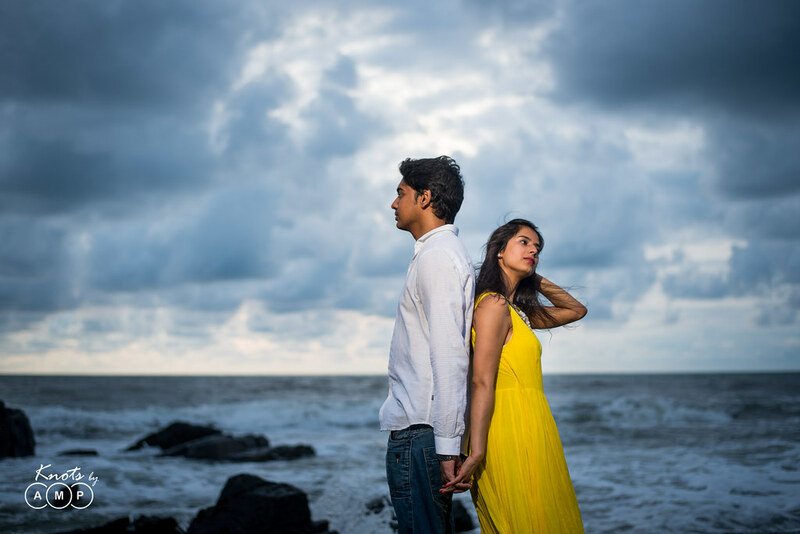 It follows unimaginable musings, fleeting moments & turns all happiness into endless smiles. 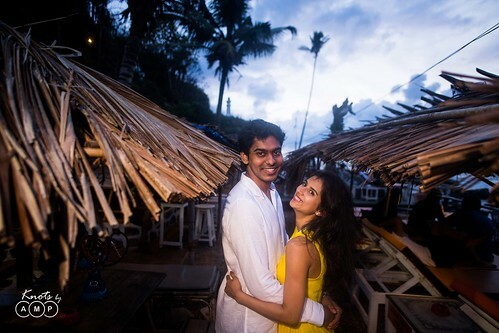 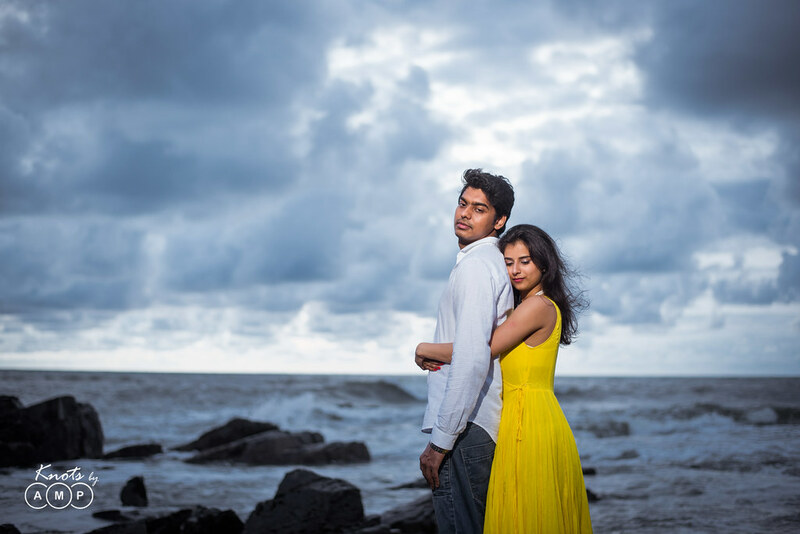 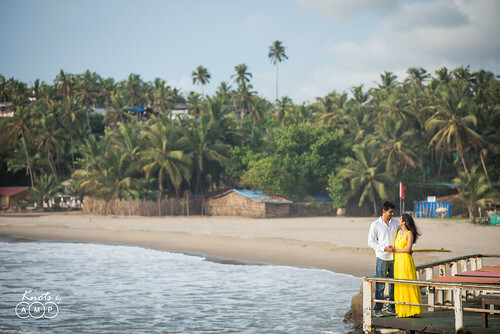 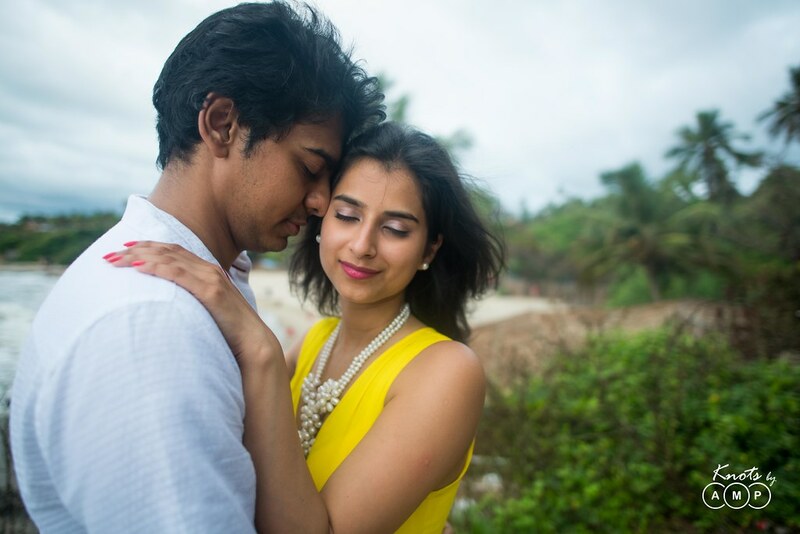 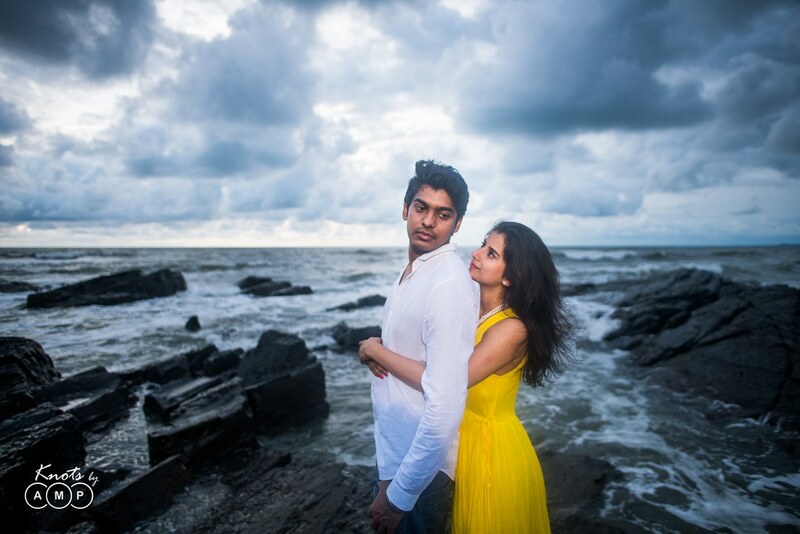 On the evening, before their wedding festivities began, Sai & Trupti took out some time to make some timeless couple portraits in Goa. 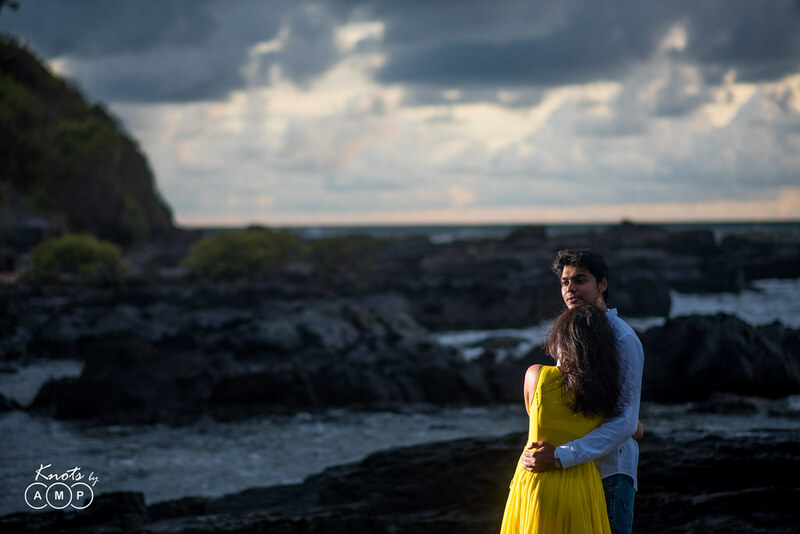 And when nature & love works together, magic happens. It was surreal throughout, as dark clouds gathered giving a whole new colour to the sky. 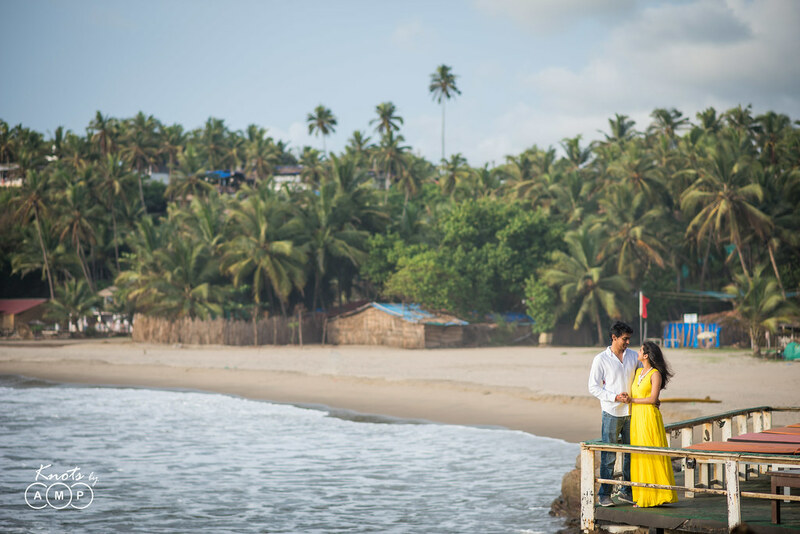 The cliffs & palm trees too were swooning in bliss. 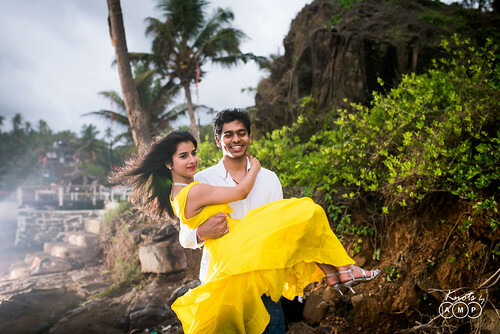 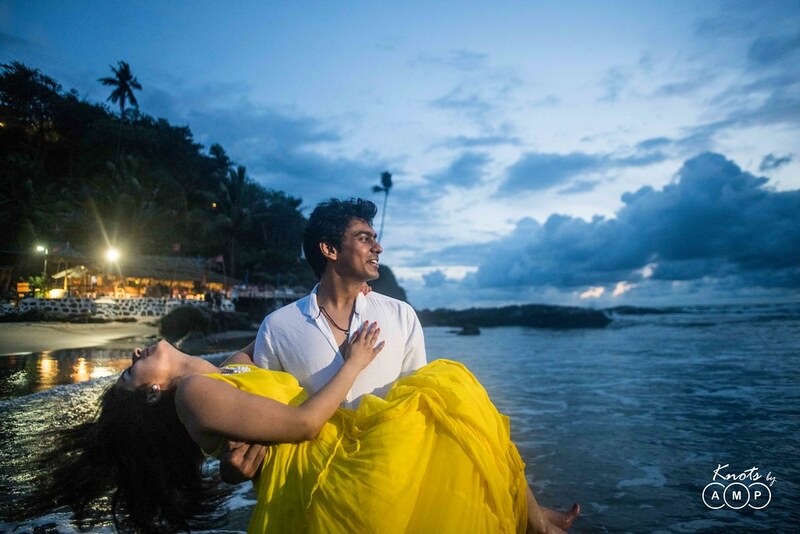 Trupti wore a yellow gown & that stood apart in adding more charm to the shoot. 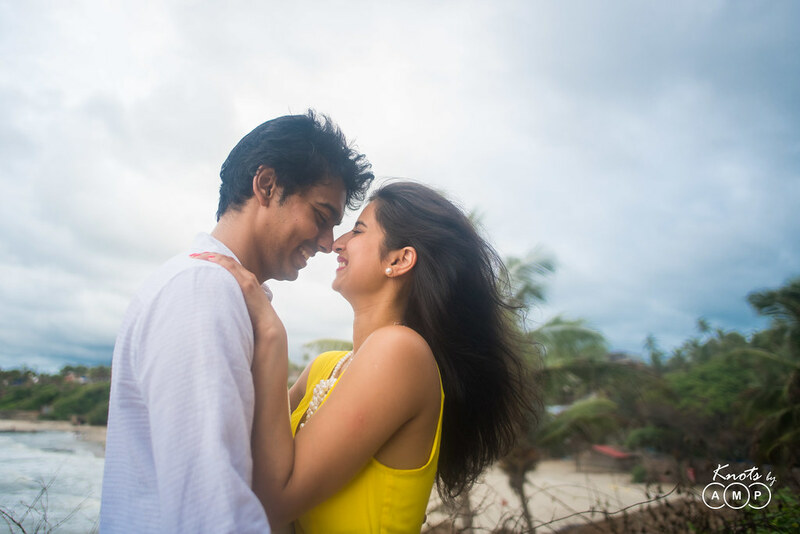 And all the while, Trupti & Sai silently celebrated their new journey together & the happiness of being with each other.